If you're new to MARTA (meaning you've never done business with us), you'll have to register an account. Once your account is approved, you'll receive access to MARTA’s iSupplier Portal. This portal allows registered suppliers (including contractors, vendors and service providers) to conduct online transactions with MARTA. Registering with MARTA is a two-part process. First, you'll apply for registration and upload tax documentation. Second, after receiving approval, you'll login to the iSupplier Portal and enter all of your vendor information. After filling out your vendor information, you'll have full access to the iSupplier Portal and its admin features. Check out our iSupplier training video and our iSupplier FAQs (see below) to learn what all the platform offers. This document is intended to provide answers to most questions that suppliers may ask when using the iSupplier portal. If you need additional information that is not covered in this document, please contact the MARTA Technology Service Desk at 404-848-5888. What is the MARTA iSupplier Portal? View their purchase orders, invoices and payment status. What are the technical requirements for using iSupplier? You need access to a laptop or desktop computer with a Web browser such as Internet Explorer only and an internet connection. Is there a cost for using the iSupplier portal? There is no cost. The portal is a completely electronic interface. No special software is required except an up-to-date Web browser for accessing the portal. How can I get access to the MARTA iSupplier Portal? If you are a registered supplier (i.e., previously completed the supplier registration package) please contact the MARTA Technology Service Desk at 404-848-5888. What if I have not previously completed a supplier registration package? Please complete the supplier registration process by clicking on the link named iSupplier Vendor Registration. Access to the portal can be accomplished using any public computer that has internet access. Who do I contact regarding bid issues? Contact the Technology Service Desk and 404- 848-5888 and let them know the name of your buyer. Your username and temporary password were (or will be) identified in the confirmation email sent from the portal. Your username should be the email address you used to create an account. The temporary password will need to be changed after first login. Access and login to the iSupplier portal and navigate to the Contact page to change your email address or you can continue using your current user name (old email address). Who will notify me when my iSupplier account is created? MARTA will send a system generated message that will contain your default password, username (same as email address) and URL information. Does each person in our organization get a separate login to access the portal? When I first try to access the portal home page, I receive a message indicating my password has expired. Is there a problem? No. All supplier logins are created with a temporary password that must be changed during your first login for security purposes. My account is locked and I am unable to login to the portal. What should I do? Call the MARTA Technology Service Desk at 404- 848-5888 to request that your password be reset. Keep in mind that the portal automatically locks your account after 3 invalid attempts. I forgot my password (or User Name). Who should I contact? If you have already exceeded 3 attempts to login, your account is locked and you will need to contact the Technology Service Desk at 404-848-5888. If you have NOT exceeded 3 attempts to login, you can change your password using the steps below. 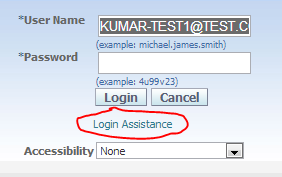 At the Login window, click on the Login Assistance link. 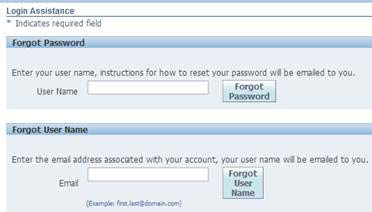 Complete the User Name field and click on the Forgot Password button. Reset password instructions will be emailed to you. Note: Your User Name is the email address you used when you registered with iSupplier. If you have forgotten this information, please contact the MARTA Technology Service Desk at 404-848-5888. If you are still unable to login, call the MARTA Technology Service Desk at 404-848-5888 to request a password reset. A new password will be generated by the portal system and a confirmation email will be sent to your account. How do I request access for another person in my organization? Access and login to the iSupplier portal and add the person’s name as a contact. The MARTA iSupplier Administrator will review the contact and approve or reject. Once the new contact is approved, that person will receive login information via email. What do I do if the iSupplier Administrator rejects my request a new contact? The email notification from the iSupplier Administrator will include a reason for the rejection. If you need additional information contact the Administrator or the Buyer. When I login to the portal I get an error. Why? Please contact the MARTA Technology Service Desk at 404-848-5888. Please note that concurrent logins to the iSupplier portal are limited. Consider waiting for a few minutes and trying your login again. If the problem persists, contact the Technology Service Desk. How often should I login to the portal? Login frequency will depend on your business needs. The portal sends you a notification when an action is required by you. What do we do when one of our employees with portal access leaves our organization? You need to immediately delete the contact using iSupplier Portal. Then apply for a new user registration by entering contact information for the new user. 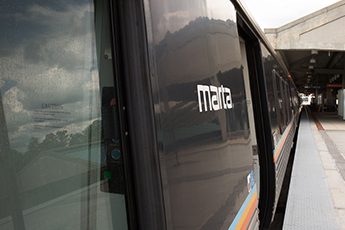 You can also call the MARTA Technology Service Desk at 404-848-5888 to have the user account disabled or call to have the user account disabled. I have not used the portal for more than 180 days. Will my original login still work? No. If the portal has not been accessed within 180 days (about 6 months), the login is deactivated Contact the MARTA Technology Service Desk at 404-848-5888 to request your account to be reactivated. Why does the system log me out after inactivity? When you are inactive for 30 minutes, the system automatically logs you out for security purposes. Listed below are questions related specifically to using the iSupplier portal. Why do I have to set up products and services (NIGP/Commodity Codes)? In order to receive automatic bid notifications, you must set up your commodity codes under products and services. Where can I find a definition of products and services codes? The NIGP codes can be located by clicking the menu item Product & Services which is located under the Admin tab. You can click Search for Specific Product & Service and search by code or description. The percent sign (%) can be used as a wild card. Is there a format for entering invoices? Suppliers will not be able to enter or upload invoices during Phase I of iSupplier. MARTA will expand the options in future releases. Can I see the status of my invoice and whether it has been paid? Yes. You can access the portal and review an invoice and the status from the Accounts tab. What happens if I can’t see the invoice the next day? If an invoice fails validation or is rejected, it will not be visible in the portal. You can do one of the following for assistance. My invoice is on hold because quantity billed exceeds quantity received. What do I need to do? Items need to be received by MARTA in the system before payment can be made. If items were shipped and payment is past-due, please contact the buyer whose name is printed on the purchase order. My invoice is on hold pending internal review. What do I need to do? Contact the buyer whose name is printed on the purchase order. How can I view the notifications sent to me via the portal? On the MARTA Supplier Portal Home Page under Worklist, click on the Full List button and select the appropriate notification type from the dropdown list. I am not receiving the correct workflow email notifications for my organization. What is wrong? Contact the MARTA Technology Service Desk at 404-848-5888. Is it possible to have the email notifications sent to more than one email address? The MARTA iSupplier portal sends workflow notifications to the email addresses of supplier users who are registered in the portal. Depending on the specific action required, the system identifies the appropriate supplier user(s) based on their assigned responsibilities. I am receiving too much email. What can I do? We suggest you use the HTML with attachments option only as the text version does not allow the display of certain links. How do I change email preference? Go to the Home page and click on the Admin tab of the iSupplier Portal. Scroll to the bottom of the page and locate Notifications and the Email Style. Click on the drop-down menu to select the appropriate option. Click on the Apply button to apply and save your change.